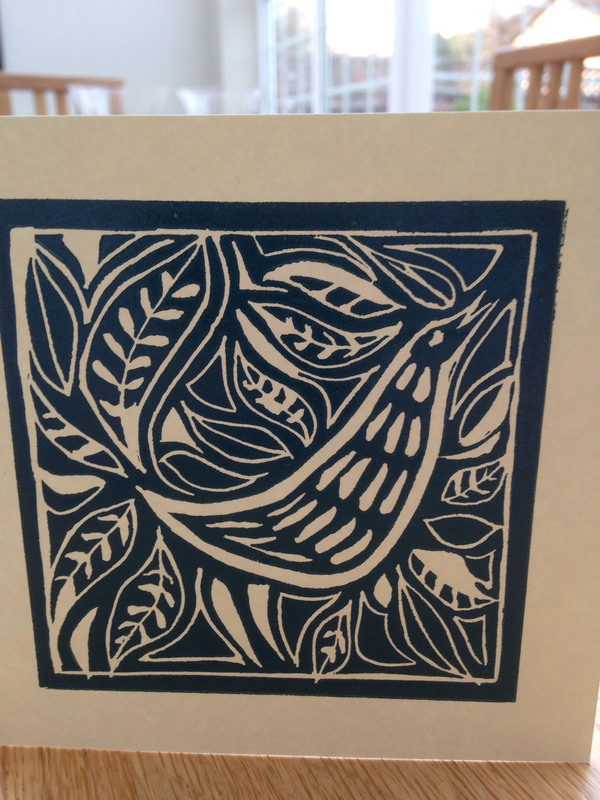 I’ve been busy printing lino cut cards in preparation for the Emsworth Arts Trail at the end of April. There are a number of new designs and colours this year. At the moment the dresser is full of cards waiting to dry. The oil based ink can take up to a week to fully set which means the original cards have a shiny quality to them and a really intense colour. Once ready. I’ll sign them and put them in a cellophane bag ready for sale. The cards are £2.50 each. Two new designs feature a folk art style bird and an abstract ammonite based on the Fibonacci spiral. 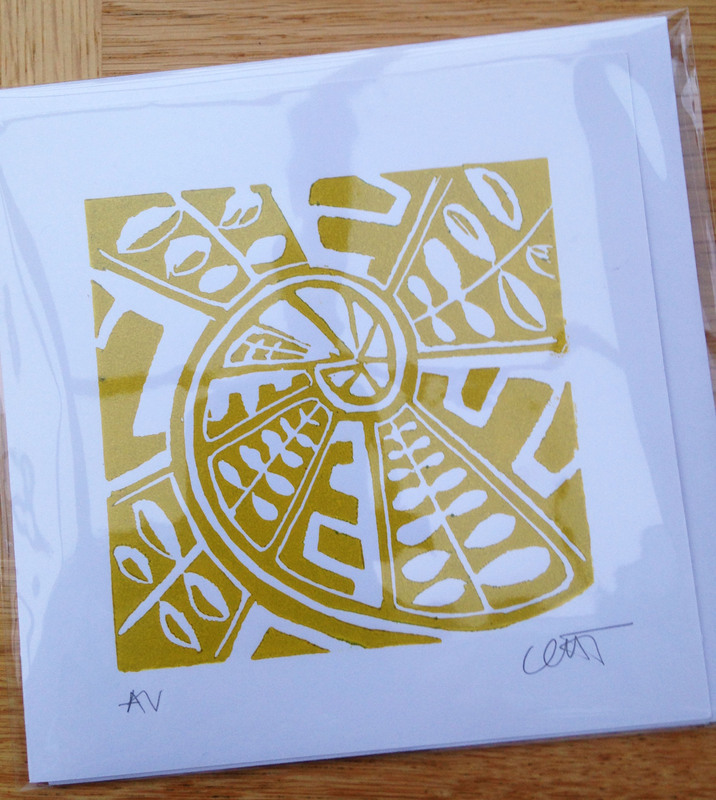 These have been printed in a variety of colours on white and ivory cards. All cards come with an envelope and are left blank for your own message.